I like finding the unusual, especially with art. 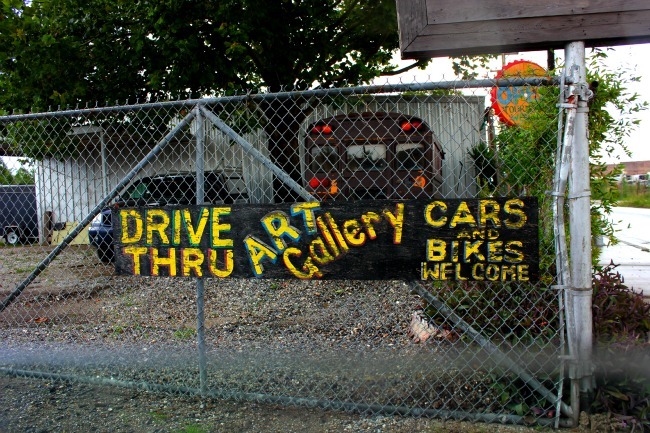 And it was no surprise to me that I discovered a drive-thru art gallery in New Orleans. 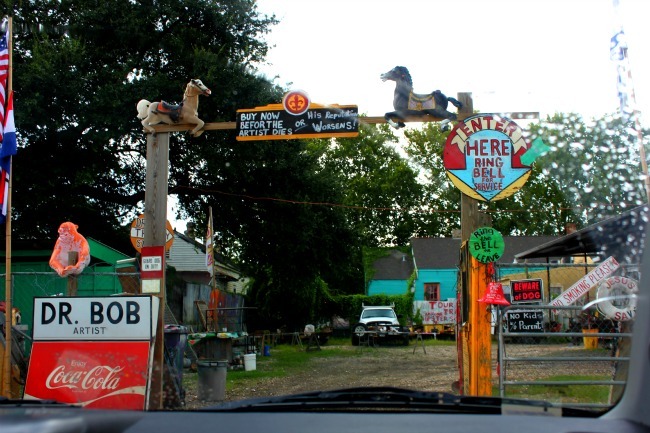 Found in the area on the border of Faubourg Marigny and the Bywater, Dr. Bob’s Drive Thru Art Gallery looks like a junk yard as first glance, maybe even a car scrapyard. And maybe it is – but its also filled with Dr. Bob’s creations – which can be viewed from a car or bike. My favourite sign was the one that said “Buy now before the artist dies – and his reputation worsens!” I loved the sense of humour that Dr. Bob shared – he wanted people to laugh and start off with that sentiment – and if you liked the art, even better. The art was unique – definitely mixed media, influenced by the leftover bits of modern day life, peppered with typography, signs, humour and pop culture. Another sign farther in was also a favourite of ours “Tourist Trap – Welcome Hipsters”. And in less than 20 minutes, we had experienced a unique art environment – and knew we’d only find it in New Orleans.